I was born in Denmark in 1980 and grew up in Louisville. While studying architecture at Washington University in St. Louis I took a glassblowing elective my senior year and discovered a love for the material. After graduating, I helped found a teaching studio called Third Degree Glass Factory and honed my skills there for 5 years before traveling to Scandinavia on a research grant from the American Scandinavian Foundation. 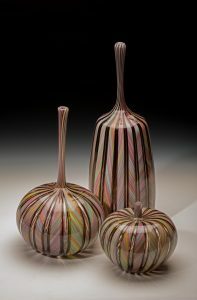 Upon my return I moved to Philadelphia to manage the East Falls glassworks, which is the city’s public-access studio.